During his long and eventful life Lord Strathcona did not only left his marks in the United Kingdom and the Scottish Glen Coe region, but also in Canada, where he spent a major part of his life. Not only did he meet his wife Isabella Sophie in Labrador, Canada in the early 1850s, but also raised and equipped a mounted regiment – the Lord Strathcona’s Horse – at his own expense. This regiment served in the South African or “Second Boer war” (1899-1902). In 1909 it was reformed under the name Lord Strathcona’s Horse (Royal Canadians) (LdSH(RC) and served in many more wars and conflicts including both world wars. Today Lord Strathcona’s Horse is an armoured regiment within the Canadian forces and has been actively deployed to areas of conflict such as Afghanistan. The regiment does, however, retain a mounted troop of 25 members that travel across Canada for ceremonial events. 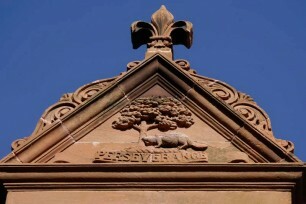 The regiment’s motto is ‘perseverance’, a word that is carved into the stone of Glencoe House, thus underlining the link between Glencoe House in Scotland and Lord Strathcona’s Horse regiment in Canada. Why don’t you see the Strathcona Mounted Troop in action? You can learn more about the history of the Lord Strathcona’s Horse here. Furthermore, you can stay current about the latest news from the Lord Strathcona’s Horse (Royal Canadians) here. 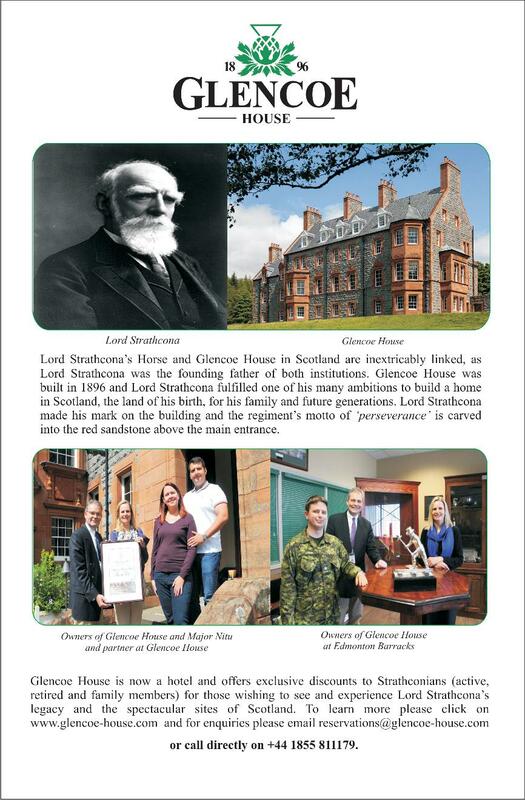 Furthermore Glencoe House Hotel is featured in the latest edition of the “The Strathconian” – the regiments annual publication.